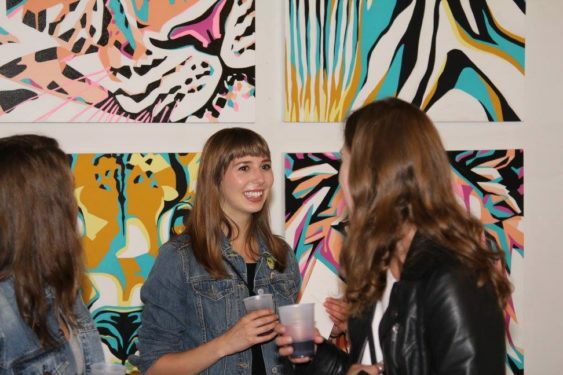 Art Explosion Studios, the city’s largest artist collective, is holding its annual Spring Open Studios in the Mission District. Come see over 100 artists as they open their studios to exhibit their work. Painters, sculptures, photographers, fashion designers and jewelers will be showing, so there will be something for every type of art connoisseur. The free opening reception gala will be on Friday, March 29th from 7-10 pm. Do not miss this opportunity to get a first look at all the incredible work that will be on display and enjoy a spectacular night out viewing art. Come meet the artists in their studios and get a personal showing of their art. In addition to artists opening their studios, the galleries will be filled with hundreds of art works to peruse. On Saturday and Sunday, they will have open studios from 12-5 pm. As always, admission is free and there’s plentiful street parking.